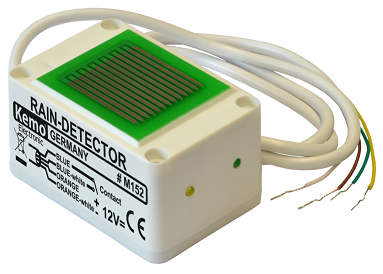 Looking for a rain sensor product to help you detect rain water for your automated system? There are so many types of rain sensor technologies to choose from. It is important to understand the various rain sensors so that you know which one is the most suitable for your project. Some rain sensors are cheap, while some are durable and robust against wear and tear. The even higher-end rain sensor can even detect the weather even before it starts raining down water. 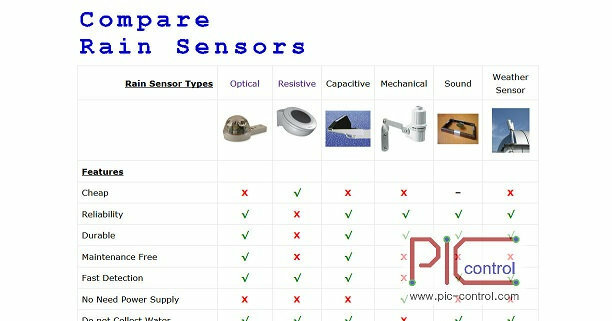 So which sensor should you go for? Here, I will be showing you various type of technologies available for detecting rain and where you can buy the sensors. Singapore is a tropical country near the equator of the earth. We get a lot of sunshine as well as wet rainy day throughout the year. It can be sunny now, and the sky can turn dark the very next moment. Having a sense of the weather from the condition of the current sky can be difficult. Rain sensors can help alert us or automate our system when raining weather is detected. Rain does bring us cool air, comfortable and relax. It also brings in some inconveniences into our life. We travel out with our umbrella. Closing the window to keep the rain out. Worrying about the clothing that you are drying outside now. Looking across the raining street, watching your neighbour’s clothes soaking wet while you urgently retrieving your clothing into your house. Alerting neighbours who are not even aware of the rain. Rain is a daily affair that we have to be constantly paying attention to. What we need is a smart system that can help us live with the inconvenience raining situation. A smart system that can detect the rain and alert us to bring in our drying clothes. A smart system that can remind us to close our windows. We need a rain sensor that can automatically send out a notification to alert us. An automatic weather sensor that can alert the neighbourhood, the rain is coming. We need a smart office/home automation system to improve our lifestyle. 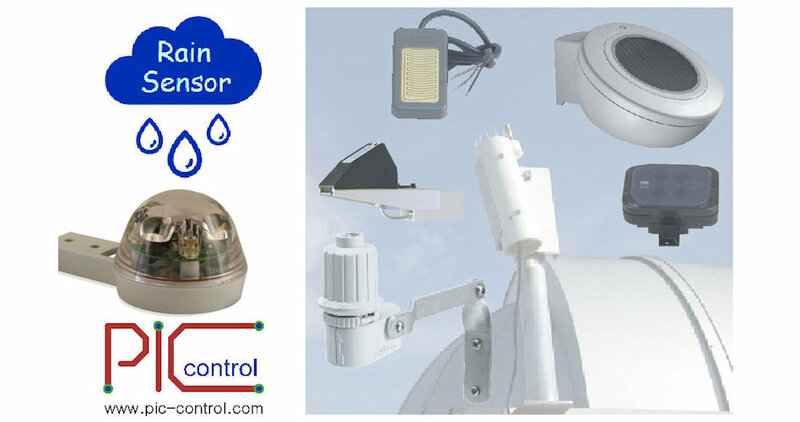 Selecting a suitable rain sensor for your automated rain detection system application is important. It is good to learn the range of rain sensors available on the market, and understand their advantages and disadvantages. There are many methods of rain detection. You can read the following sections to understand more about the advantages and disadvantages of each of the rain detection method. Our recommendation for outdoor rain detection would be the optical rain sensor. Optical rain sensor has a very fast response, minimum maintenance and has a longer lifespan compare to many other types of rain sensing. If you are looking for a simple and hassle-free way to deploy a rain detector, the optical rain sensor is the best option. The cheapest sensor will be the resistive rain sensor, but it is also the worst in terms of the overall rain sensor comparison. For a quick comparison of the detection method, check out the rain sensor comparison table at the end of this page. These are the types of rain detection technologies that are currently available on the market. We will be going through them in the following sections on this page. A resistive rain sensor module is cheap and is a commonly available sensor you can find on the market. The circuit used is often also known as a water detector or a water sensor. It is typically used in detecting rain, detecting water level. The sensor works base on the resistance of the water. You can visually see the expose copper strips from this sensor. The running copper strip in proximity is exposed on the surface of the PCB board. They look like crossing fingers and basically form two point of contact. When the sensor is dry, the resistance between both contact is very large (open circuit). When there is water on the surface of the board (touching the expose copper), the water forms a resistive connection across the 2 copper strip. This change in resistance allows the circuit to detect between dry and wet, hence the sensor can detect rain. This method is cheap and simple. The disadvantage is that the copper in contact with water/air, the copper will get oxidised after a period of time. Performance can change over time (3-12 months depending on the climate condition of your country), therefore it is usually not recommended for industrial deployment use. In Singapore, such sensor may start to fail in about 3-6 months time, due to our humid weather throughout the year. You just need to maintain the sensor, keeping it clean most of the time, ensuring that it don’t oxidise. If it does, just change to a new sensor board. It is inexpensive sensor anyway. This rain sensor is easily available from Sim Lim Tower in Singapore. Check out more other resistive rain sensors here. This capacitive has a top plate which detects the change of capacitance when the water is on the plate. Unlike the resistive rain sensor, it does not have exposed electronic parts. This capacitive rain sensor (Vaisala DRD11A Rain Detector) is available from Vaisala. Check out this DRD11A Rain Detector user manual (0.19MB). This is a very clever design rain sensor from Rain-Bird that uses the principle of mechanical weight to activate a switch inside as a means to detect rain water. A cost effective and robust way of detecting rain. An angled mounting bracket is available to help you mount the sensor on the wall. This is how the mechanical rain sensor works. On the top of the sensor cap is some holes which allow the rain water to be collected. Just below the hole inlets are thick board brown-colored rings (like a thick washer) stack on top of one another. Below this stack is a momentary push lever for a mechanical switch. Normally when there is no rain, these rings are light in weight. The spring from the mechanical switch is strong enough to deactivate the switch. The switch is not activated (in contact), and it simply means that there is no rain water in the sensor. When it starts to rain, the water will flow down from the hole inlets on top, and pass through the rings. The rain water will get absorb into the ring like a sponge. The stack of rings becomes slightly bigger and heavier in weight. This heavy weight will add pressure to the switch. When enough water gets absorbed and become heavier, the mechanical switch will be trigger, hence indicating that rain is detected. It will take some time to collect enough rain water for the sensor to be triggered. The rainfall setting can be adjusted via a rotating knob just below the top cap. It basically regulates the flow of the rain water flowing through it, hence control the rate of absorption. When the rain stops, the stacked rings will begin to dry up, and eventually, after some time, the mechanical switch at the bottom of the sensor will have enough force to deactivate itself. This provides a signal for rain stop. This is a reliable method of detecting rain if the speed of detection is not very important. This is because it takes the stack of rings some time to absorb water and trigger the switch, as well as enough time for the ring to dry up and deactivate the switch. 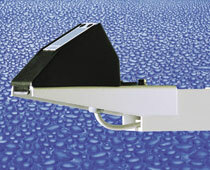 Rain-bird rain sensor brochure (0.23MB) and user manual (0.6MB) is available here. You can buy it directly from the rain bird online store. The optical rain sensor is by far the best rain sensor available today. 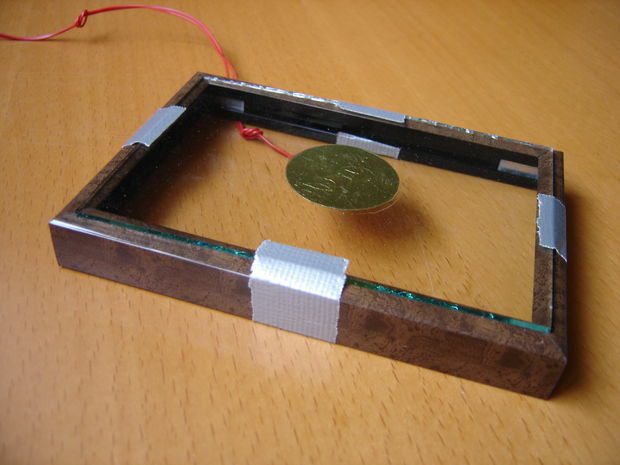 It works by detecting the IR light intensity reflected on the transparent top. When the water gets on the surface, some of the lights gets refracted out. Less light gets reflected internally. The reduced in the intensity detected indicates the presence of water. The rain detection response from this optical rain sensor is fast. The sensor reacts instantly when rain is detected and takes only a few minutes to deactivate after it is clear of rain water. A hassle free solution with little maintenance throughout the year. Dirt on the transparent dome surface will not affect its performance significantly, though it is good to have it clean once in a while. 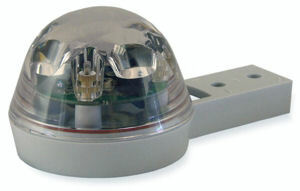 This optical rain sensor is highly recommended for outdoor rain detection installation. Deploy the sensor and you don’t have much to worry much about. The only disadvantage is the high cost compared to the resistive sensor which cost about a few bucks. But if you compare to maintenance cost, manpower cost and time of maintaining a resistive sensor, this sensor is actually quite worth its value. 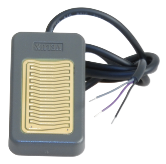 Or click here for the quick starter guide for this rain sensor. 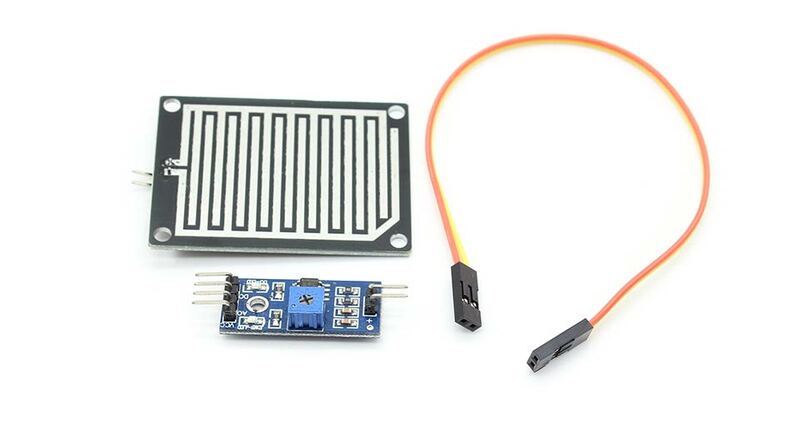 You can also buy this Optical Rain Sensor from our online store. 1-year warranty for the customer in Singapore. Rain sensor on-board luxury cars. They are designed to be small and is usually fitted behind the car’s front window (usually right behind the car’s rear mirror). The working principle is the same as the optical rain sensor above. Click here for examples of the rain sensor on-board cars, and rain sensor on Mercedes car. This sensor detects the sound of the dropping rain. The rain will hit on the platform which will generate vibration which will be pick up by the sensor. Using sound to detect rain. This is an advance environmental sensor which can detect the cloud and sky condition. It can also measure wind speed, temperature, etc… This sensor can detect dark cloud and coming rain. It is commonly used for astronomy observatory, to alert the user if there is any bad weather, or automatically trigger the system to close the dome before the rain damage the precision telescope equipment. 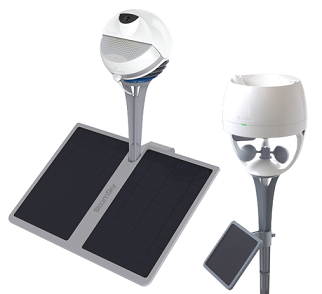 The sensor product is not expensive, but compare to the rest of the rain sensors, it is definitely the most advance and expensive weather sensor. 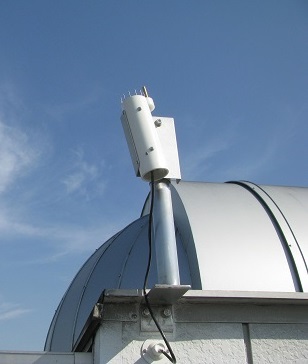 This sensor has been deployed at the roof top of Nanyang Polytechnic in Singapore (School of Electronic/Electrical Engineering), to automate the dome system for the astronomy telescope. When it is about to rain, the rain will alert the computer system which will trigger the dome controller to close the dome. This protects the expensive telescope and computer system from the rain. The system requires some customisation in order integrate to your own automated system. You can contact PIC-CONTROL if you requires such a weather sensor. Click here for a quick comparison between the various types of the rain sensor. The rain sensor comparison page provides a quick summary of the various types of rain sensors that are discussed on this page. We can custom design rain detection system for your application. You want it wireless, automated, send notification or etc…, they can be done. Rain sensor helps detect rain, but it does not offer services to notify the neighbourhood. We are offering a smarter solution that user can subscribe upon for services that can make a positive impact on their lifestyle. A rain problem that becomes easier to manage. Allowing the user to better manage technology and their life. PIC-CONTROL takes one step further in building up a framework for a smart nation. A smart system that is simple to use and inexpensive cost of ownership through the sharing of resources. A framework that simplified integration for office or home automation control and enables progressive evolution growth. 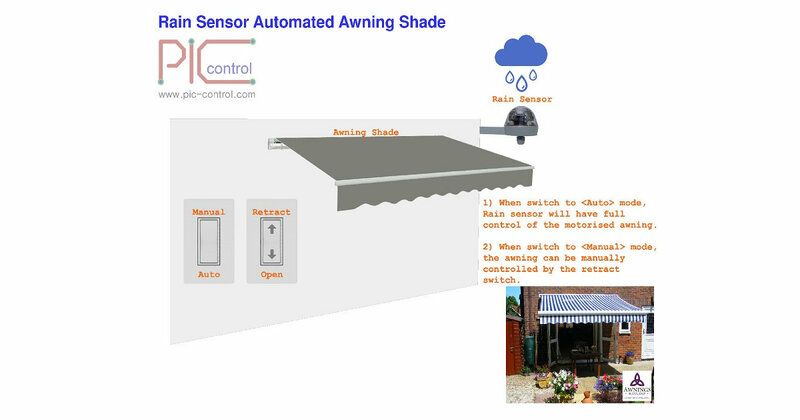 For further enquiry on a rain sensor automatic notification system, contact PIC-CONTROL today. Check out other types of electronic sensors for your project installation use.